AddisMap.com is an Ethiopia-based city guide for Ethiopia's capital Addis Ababa. Since the relaunch of the website in December 2014, it also shows 3D buildings, based on OSMBuildings. The team of B.A.M.E. 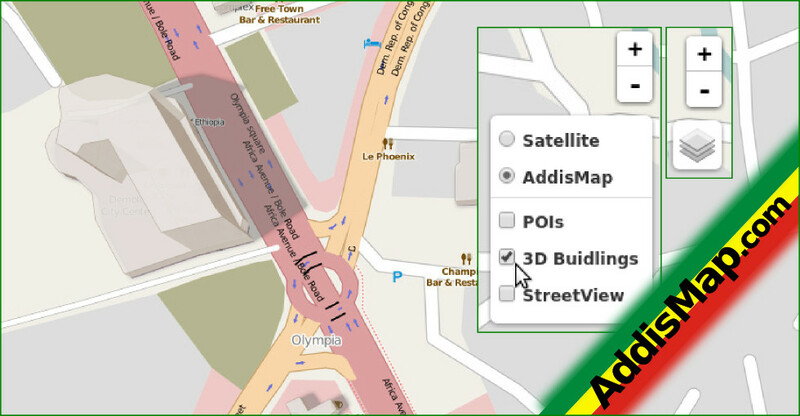 PLC is continuously working on improving the OpenStreetMap data for the country, also including 3D building data.